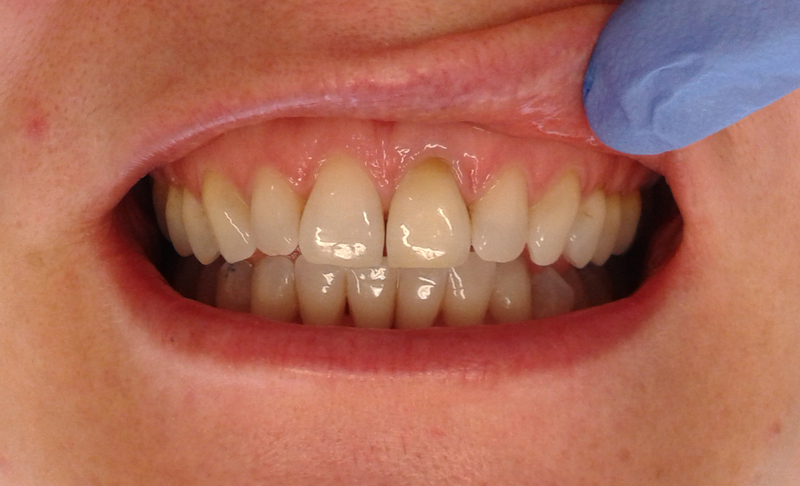 How to improve the shade of a tooth treated with root canal filling, affected by discoloration. Treatment performed by Dr TL. After a root canal treatment, the tooth sometimes becomes darker. 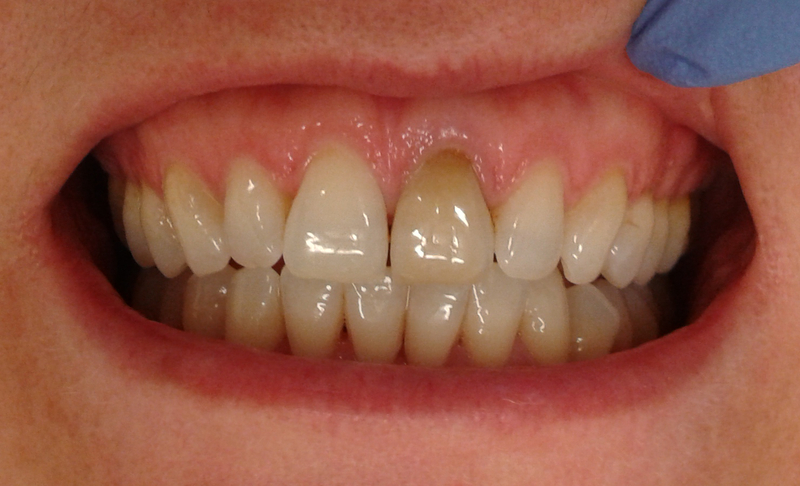 The discoloration comes from the inside so only an internal whitening will be effective. The results are not guaranteed but most of the time it’s possible to visibly improve the shade. The tooth is re-opened and some of the material is removed to make space for the whitening product (hydrogen peroxide). Several sessions will be required over several weeks. Some teeth can fully recover their initial shade but some don’t. Cosmetic bondings or a porcelain veneers can then be considered.